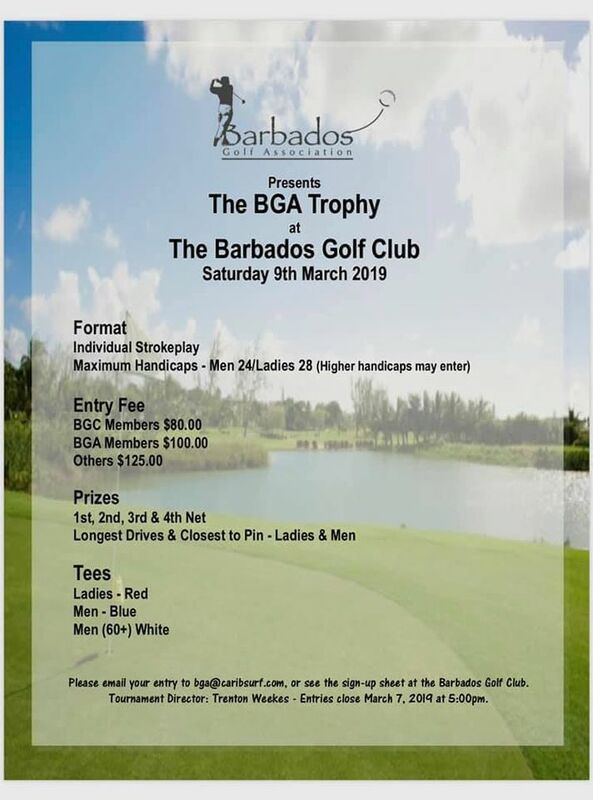 The Barbados Golf Association presents their annual BGA Trophy at the Barbados Golf Club. 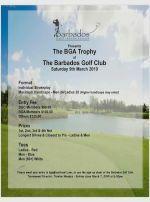 Longest Drive and Closest to Pin Prizes also to be won. Entries close on Thu Mar 7th at 5:00 pm. Tees: Ladies - Red; Men - Blue; Men 60+ - White.